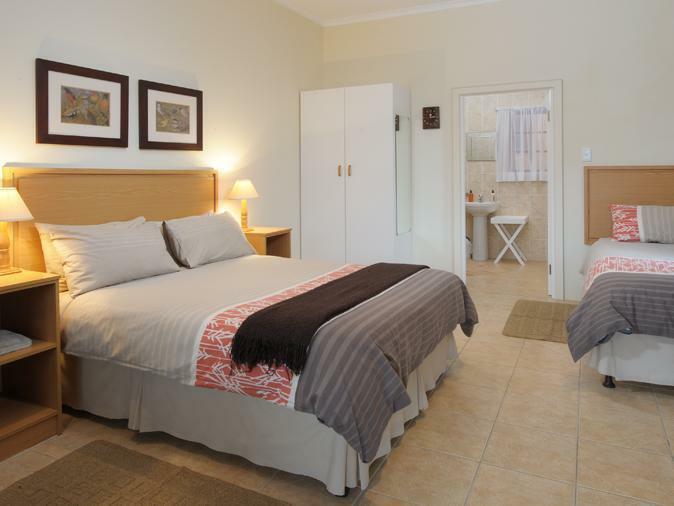 ﻿ Treetops Guesthouse Port Elizabeth. JIMAT di Agoda.com! Ada soalan mengenai Treetops Guesthouse? Ketika melawat Port Elizabeth, anda akan merasa seperti di rumah di Treetops Guesthouse, yang menawarkan penginapan berkualiti dan perkhidmatan hebat. Hotel ini tidak terlalu jauh dari pusat bandar: hanya sejauh 5 Km, dan kebiasaanya mengambil masa kira-kira 4 minit untuk sampai di lapangan terbang. Pelawat yang datang ke hotel boleh melawat tarikan utama di bandar ini seperti: Lapangan Terbang Pelabuhan Elizabeth, Taman Settlers, Muzium Seni Ron Belling. Menawarkan tetamu hotel perkhidmatan yang unggul dan pelbagai kemudahan, Treetops Guesthouse komited untuk memastikan penginapan anda berada di tahap seberapa selesa yang mungkin. Hotel ini menyediakan akses kepada pelbagai perkhidmatan yang luas, termasuklah Wi-Fi percuma semua bilik, Wi-Fi di tempat awam, tempat letak kereta, pengangkutan lapangan terbang, bilik keluarga. 9 bilik di sepanjang 1 tingkat menyediakan suasana nyaman dan menyenangkan. televisyen skrin rata, internet wayarles, kolam renang peribadi, internet wayarles (percuma), bilik larangan merokok boleh didapati di beberapa bilik. Hotel ini menawarkan pelbagai kemudahan rekreasi yang sangat baik, termasuk padang golf (dalam jarak 3 km) , kolam renang terbuka, taman. 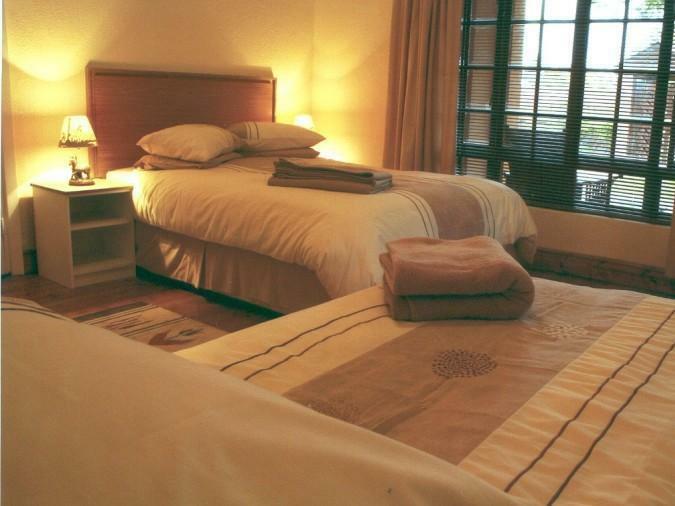 Treetops Guesthouse merupakan tempat yang ideal bagi penginapan pelancong yang mencari keindahan, keselesaan dan kemudahan di Port Elizabeth. Enjoyed our night here. Stephen was welcoming, rooms were comfortable though a little dated. We loved the breakfast room with the African display. Lovely pool area with sun loungers, very welcoming after a very long drive. The B&B was very close to the airport. The rooms were clean and staff friendly. 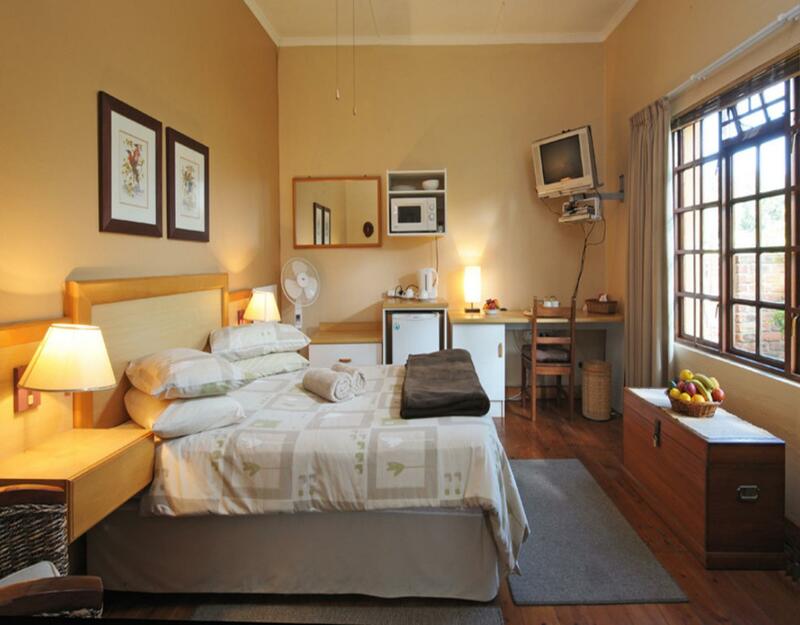 The Treetops Guesthouse is a very quaint B&B located very close to the Airport. When we arriveed, we called Steven and he was there in 5 Minutes to pick us up. Steven has a Wonderful personality that is very welcoming. He not only recommend a restaurant for dinner, he drove we to Bocadillos, which, by the way was also wonderful. The guesthouse has courtyards and a pool area, which Steven has wonderfully decorated with art and trinkets. 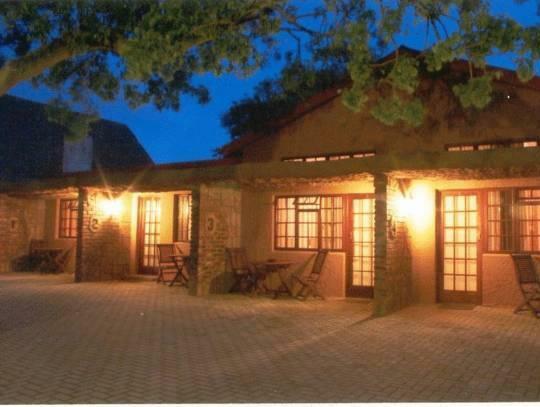 This is were I would book, if I ever return to Port Elizabeth. Wonderful place very near airport. Excellent facilities and host. Highly recommended. 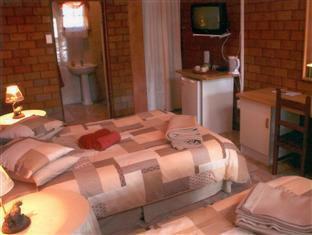 Highly recommendable and comfortable Guest House. Excellent room with very good facilities. Very friendly and most helpful owners. Transport to and from airport by owner is a big plus. Many thanks for your kind assistance with my problem. Peter Wallace. I had a good experience here. The owner is very friendly. The room I booked was nice and spacious and had everything I needed. A coffee station with fridge, double bed, cupboard for my clothes, desk to work at, free wifi, hair dryer and heaps of plugs all over the room so no issue charging phones, battery packs, laptops etc. It is only 2 min from the airport and only 5min to get to Tramways building where i had to work while in PE. The main rd at the sea was only 10 min away. So if you have a car then nothing is very far. Oh and there is parking at Treetops. Last but not least, as a solo female traveler I can say this place was safe. Impeccably clean and comfortable. Friendly owners and delicious breakfast. With inconvenient flight times, Treetops provides the perfect location for enjoying an evening in Port Elizabeth, a good night's sleep and making a crack-of-dawn flight. Treetops is a place to be, it is nice and clean. I'm thinking of coming again, i had a fantastic stay there. Thank you Elizabeth for your hospitality. Beautiful place to stay for a few days. Unfortunately the city Port Elizabeth isnt very attractive, otherwise we would have stayed here for a few more days. Rooms etc are clean and nice equipped. Owners are very friendly and willing to help. Thanks a lot! We really enjoyed our stay. Good. It was a over night stay... But all good. Nice garden area too. We were only in PE for 24 hours so my stay at Treetops was very brief. However, we had a great experience. They allowed us to check-in early, the room was spacious and had tea, coffee & snacks readily available and the beautiful wall of hearts outside our room just made our stay even more special. Very comfortable. Pity we only had 1 night there. I cannot find any negative things to say. Very near the airport and felt very safe and will definitely stay there again. A definite good value for your money. I stayed 3 nights there. Stephen and Elizabeth are amazing hosts. They helped us booking some of the tours. The room is in a very nice and spacious compound. It is clean and has all the amenities you need (fridge, plates, microwave, etc.). Those were bonuses. I used Ezethu Tours when I was there for the city/township/safari tours. Great guide. His name is Simthembiso. The guesthouse can arrange it for you. Safe travels. The free pickup from the airport was great. The room was very spacious with everything I needed. The breakfast was delicious in a nice garden environment. 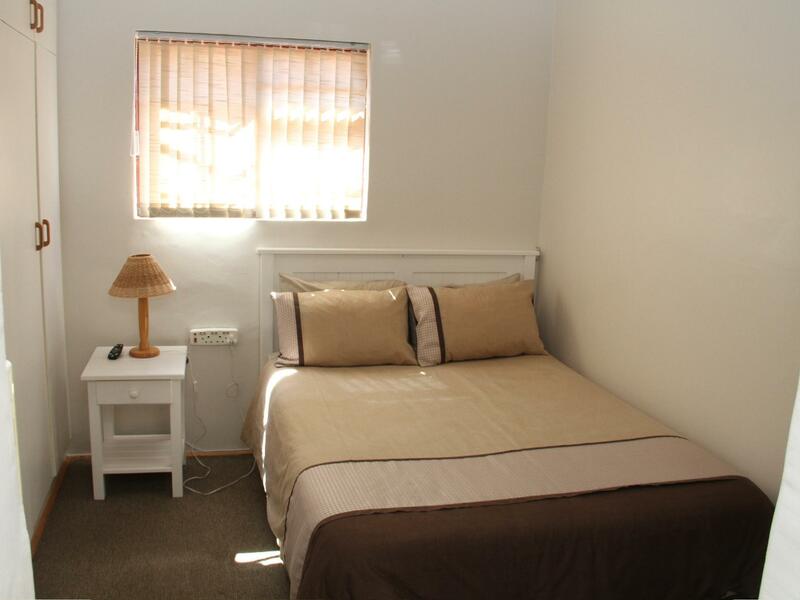 A very good location close to airport with good rooms and facilities . Paid extra for breakfast but good value for money . Helpful owner and staff . Excellent value for money. Spent just 2 nights. Staff were very friendly. Room was clean and facilities quite adequate. Beautiful gardens. Did not eat so can not rate food. Children friendly. Will definitely stay there again.